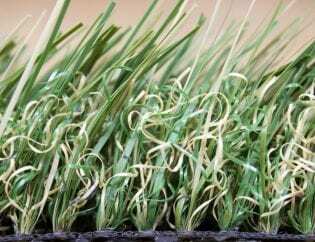 Dog Turf: It’s Not Grass… It’s Better! Young dogs, old dogs, big dogs, small dogs: whatever your kind of dog, Dog Turf is designed to make your life easier. Dog Turf isn’t just any old synthetic turf. 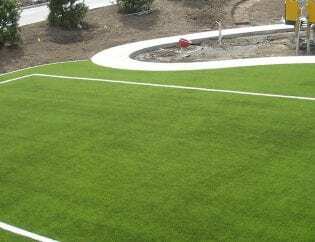 This synthetic turf is developed specifically for dogs. 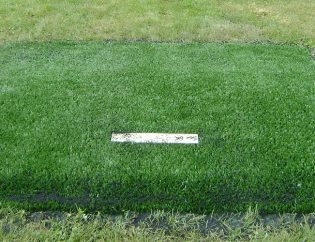 Dog turf drains faster than other turfs and has antimicrobial additives built into the turf blades and the backing. It looks good, it’s hygienic, and it’s soft and comfortable on delicate paws. 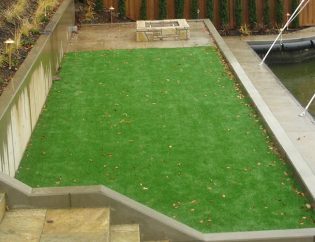 Because our synthetic Dog Turf looks like real grass, your pet will treat it like real grass. Older dogs will know what Dog Turf is for as soon as you introduce it. Puppies will quickly learn to use the turf instead of your carpet. They will associate Dog Turfwith going outside on real grass. 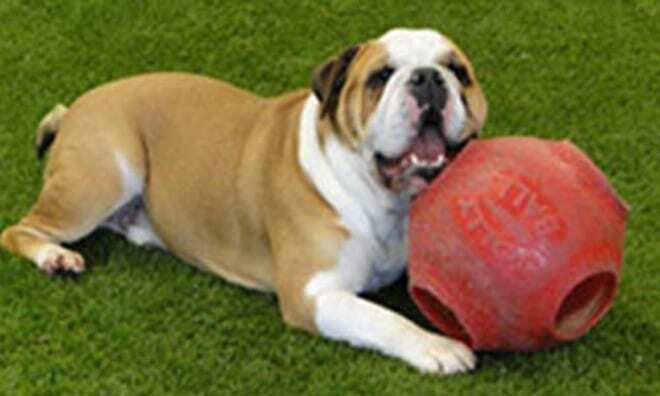 A lot of the synthetic turf out there is just not suitable turf for dogs. Dog Turf is superior because it’s anti-bacterial and non-absorbent, and the unique backing lets liquids escape much faster than hole-punched turf does. That’s why Dog Turf is the best synthetic turf you can buy for dogs. 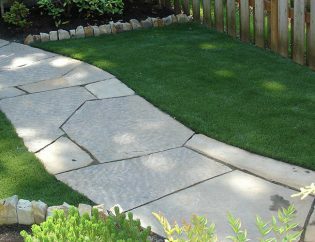 Dog Turf is available exclusively from Cascade Greens and selected agents nationwide. We have selected Durafill and Zeofill as our preferred antimicrobial infill and odor eliminating products because they are the latest in infill product technology. Both products are non-toxic infills that are pet- and environment friendly. 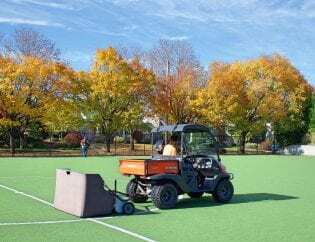 Durafill and Zeofill offer unsurpassed protection for pet turf applications and are used together as infill. Other infill materials can retain moisture- and where there is moisture, there is mold, mildew and bacteria. Non-absorbent Durafill with Microban® antimicrobial technology, helps prevent microbes from breaking down pet urine into pungent ammonia smells. Microban® antimicrobial protection works 24/7 for an added level of cleanliness protection and is a one time application. Durafills trademark green silicone dioxide granules are more sanitary than silica (green sand). Zeofill is an odor prevention and odor eliminator and “is a negatively charged honey-combed molecular structure which absorbs the urine like a magnet and prevents the ammonia from forming a gas which is the main cause of smell.” Zeofill holds on the any gases until rain water releases the magneticity and flush out bacteria. This forces it through the turf into the ground making your turf virtually new again. The Zeofill recharges when dry. 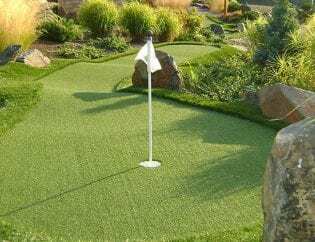 No matter what turf product selected to use in your yard, we always highly recommend the combination of Durafill and Zeofill with any dog lovers yard! Rinse your turf where your dogs urinate! If you have dogs that spend much time on the turf, low maintenance is required with any turf, including Dog Turf. 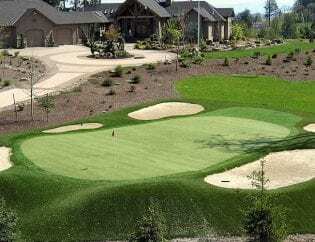 Depending on the water/rain accessibility to the area, all turf must be flushed with hose water to prevent, reduce or eliminate the smell of the urine. Although the Dog Turf does not absorb the odor, the urine is still there. Occasionally, as needed, spray the area with hose water to flush it though. 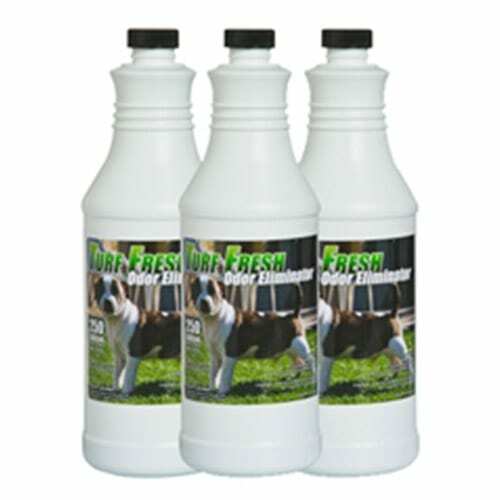 It can then be treated with a disinfectant or deodorizer (such as our Turf Fresh Odor Eliminator©) if needed. 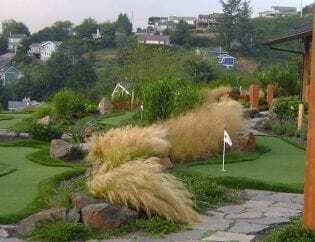 Call Cascade Greens if additional assistance is needed.